Peter Rabbit has a great deal of curiosity and loves to hear stories. In this collection of 16 short stories, Peter Rabbit learns more about many of his neighbors in the Green Forest and the Green Meadows. Sometimes Grandfather Frog tells him a story but there are other neighbors who also share their “knowledge” with him. For example, Peter wants to know why Mr. Bluebird has a beautiful coat when he can be such a bratty bird. Peter would also like to know why Mr. Hare gets a white coat in the winter and a brown one in the summer. And how did Bob White get his name? Since Grandfather Frog has lived a long time, he is willing to tell stories to Peter and his friends about how some of these things happened (according to Grandfather Frog). 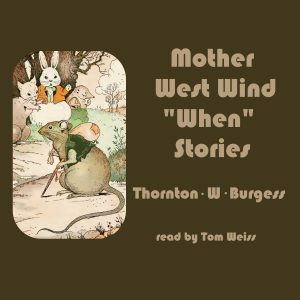 As with all Thornton W. Burgess books, there are lessons about learning and practicing good values in life.